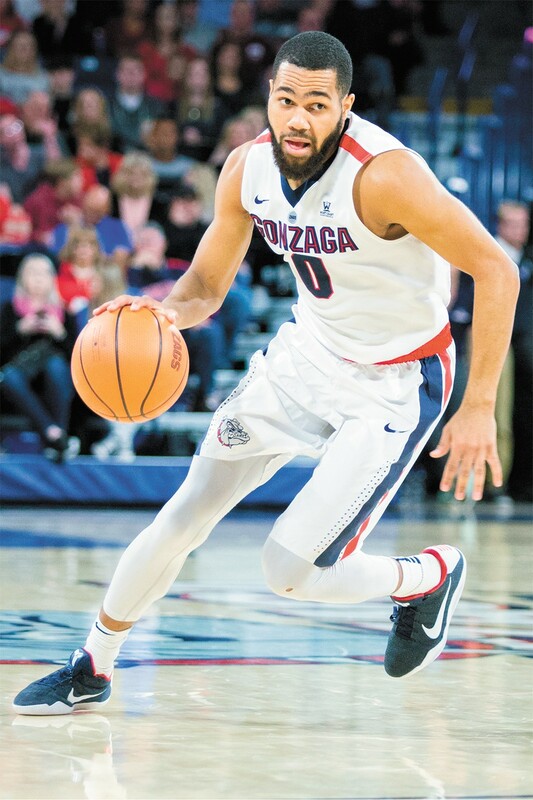 Streaks have become commonplace for the Gonzaga Bulldogs. Only Kansas, Duke and Michigan State have longer active NCAA Tournament streaks than Gonzaga's current run of 20 straight. Last Thursday's 68-64 win over UNC-Greensboro was Gonzaga's 10th-consecutive win in the tournament's opening round. On Saturday, with a 90-84 win over Ohio State, the Bulldogs advanced to their fourth-straight Sweet 16. "We've got two guys in [Josh] Perkins and Silas [Melson] that have made it to four-straight second weekends," head coach Mark Few said. "I don't know how many players in college basketball can say they've been part of four-straight second weekends. I know there's obviously some, but that's got to be some elite company." Elite indeed, with another win at least. Gonzaga plays Florida State on Thursday with a trip to the Elite Eight on the line. The Zags made it to, and ultimately beyond, the Elite Eight last season. But let's not get ahead of ourselves just yet. This tournament has been filled with upsets, after all. The Zags, a 4 seed, have been the favorite in each of their two games to date. That will be the case on Thursday as well, though it wasn't supposed to be that way. Gonzaga's opponent in the Sweet 16 will be the 9-seed Seminoles of Florida State. The Seminoles upset top-seeded Xavier on Sunday to earn their trip to the tournament's second weekend. With a 22-11 record on the season, and a 9-9 mark in Atlantic Coast Conference play, the Seminoles are, on paper, a far better draw for Gonzaga than the 29-win, Big East Conference champion Musketeers would've been. Florida State just took down that Big East champion, though, and did so with some ferocious athleticism. The Seminoles are long and they are strong. That said, so is Gonzaga. Both Gonzaga and Florida State are strong teams with solid offenses — though Gonzaga's is considerably more efficient — that like to play an up-tempo style. Sounds like a recipe for a high-scoring, Hollywood-style game. Fitting, since the game will be played in Los Angeles. Should the Zags avoid the upset, they'll be back in the Elite Eight for the fourth time in program history and third time since 2015. In seasons like 2004, 2009, 2013 and 2015, Gonzaga had Final Four potential but fell short against tough competition. This year, when the Zags are talented enough to make it without any help, they've been gifted an uncommonly easy path. Xavier and North Carolina, the top two seeds in the West Region, have already been eliminated. Michigan, a 3-seed, is the best remaining team standing between Gonzaga and the Final Four. The Wolverines needed a buzzer-beating three-pointer over the weekend to avoid defeat themselves. It makes Gonzaga's final-minute comeback in the opening round seem like a cakewalk by comparison. This madness isn't contained to the West Region, though. In fact, it's even more insane elsewhere. Namely, in the South Region. The Virginia Cavaliers, the top-seeded team in the south, lost by 20 points in the opening round to 16-seeded University of Maryland-Baltimore County Retrievers. That region isn't just without its top seed, it's missing its top four. Cincinnati, Tennessee and Arizona all lost over the weekend. And that's good news for Gonzaga, too. The winner of the South Region faces the winner of the West Region in the Final Four. Should 4-seed Gonzaga win the West, they'd match up with either 5-seed Kentucky, 7-seed Nevada, 9-seed Kansas State or 11-seed Loyola-Chicago. The original print version of this article was headlined "#Blessed Road?"